Cancers that occur in the kidney are primarily treated by surgical excision of the kidney and in some instances of the ureter (the tube that connects the kidney to the bladder). 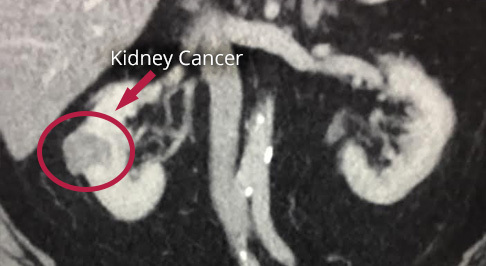 Cancers of the kidney often diagnosed incidentally when CT scans are performed of the abdomen and pelvis. Many of these cancers are quite small when initially diagnosed and sometimes just the tumour itself can be removed leaving the remainder of the normal kidney (partial nephrectomy). If the tumour is larger or in the position that makes removal of the tumour alone difficult or dangerous then the whole kidney must be removed, however this can almost always be performed by keyhole surgery (laparoscopic nephrectomy).